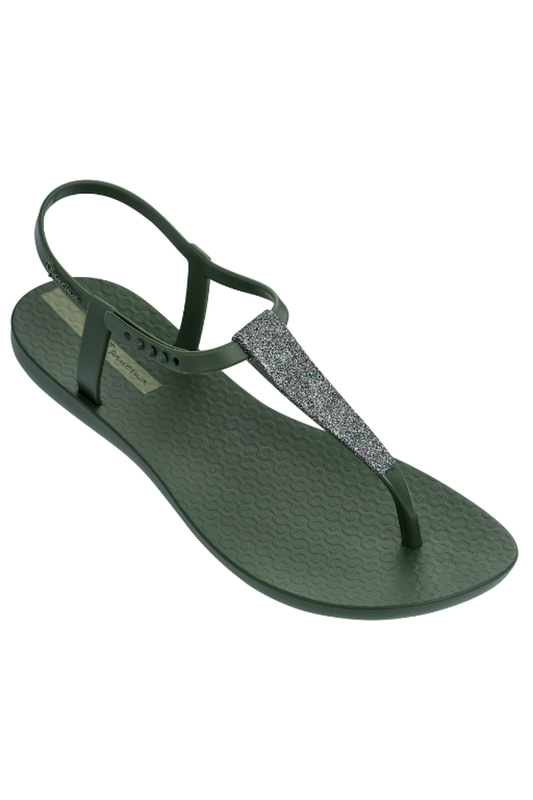 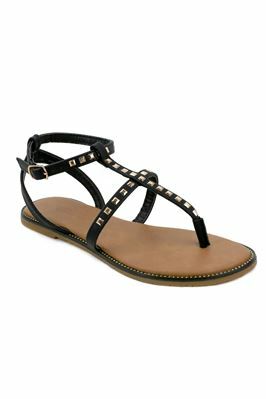 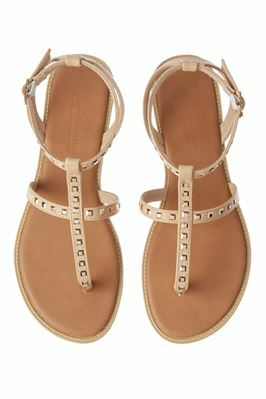 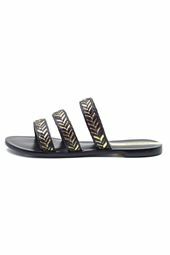 Shimmery t-strap sandal with adjustable ankle strap and cushioned foot-beds for supple comfort. 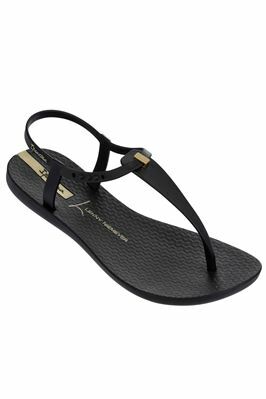 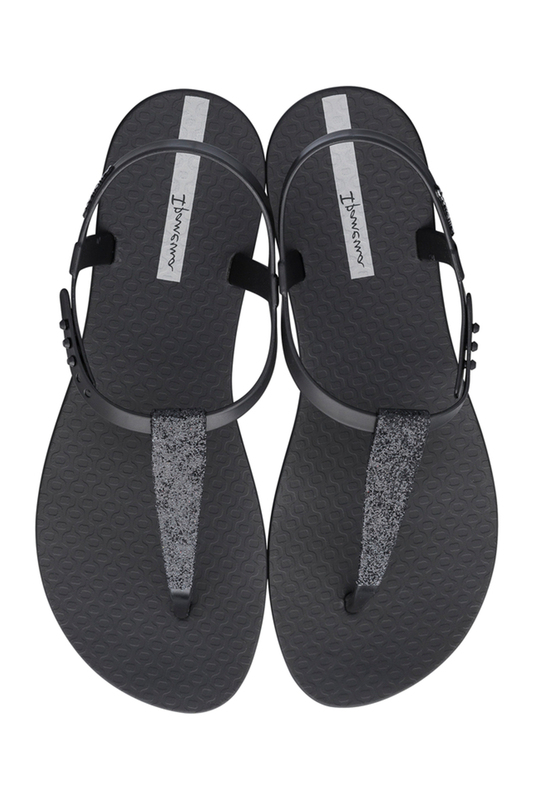 iPANEMA is the largest selling brand of Brazilian flip flops in the world. 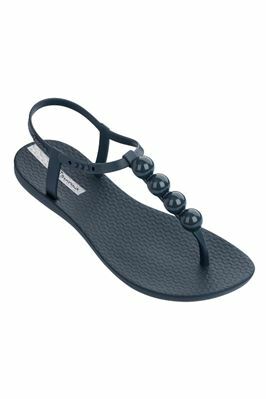 100% recyclable, made from at least 30% recycled material, and 100% of the water used in production is reclaimed and recycled.